An architectural sculptor, he was born in Armagh, Ireland, on 8 December 1842, the son of a builder, and moved to Largs in Scotland at the age of 5 or 6. He initially worked as a stonecutter with his father until he was twenty years old. He then became a carver with William Mossman II in Glasgow, and after impressing him with his work on John Honeyman's Park Free Church in Helensburgh (1862-3), Mossman sent him to London for further training with the sculptor John Birnie Philip . With Philip he worked on the reredos in Litchfield Cathedral and sculpted a marble statue of Queen Victoria for India, which was viewed by the Queen in the sculptor�s studio. He also worked with Philip on 'touching-up' the Elgin Marbles in the British Museum. Afterwards, he worked with several other London Sculptors for six years before being engaged on the restoration of Salisbury Cathedral. In 1869, he returned to Glasgow, setting up his workshop and studio at 68 Bothwell Street, where he employed two assistants. He lived at 406 St Vincent Street. He shared his home with his wife, Isabella; their infant son and daughter, Francis and Margaret; his brother-in-law, William Strachan, who worked as a stone carver (b. 1852); their American born servant, Elizabeth Kiningham; and a boarder, Jessie Robertson. The family later moved to 76 Douglas Street, in 1873. Maxwell's first independent commission was for some 'Early English' carvings on a church in Greenock, which took about nine months to execute. He was also busy working elsewhere. In Ayr, he carved the heads of William Wallace, Robert The Bruce, John Knox and Robert Burns on the new Public Library; enjoying the work so much that he specialised in the carving of portrait heads, including a considerable number on buildings in Glasgow and London. Among these were four keystone heads on Frasers� Warehouse in Buchanan Street, which had been commissioned to supplement the famous 18th Century Tontine Heads which were to be incorporated on the building�s fa�ade, and which were for many years believed to have been a youthful work by Archibald Macfarlane Shannan (1872-3). Maxwell�s identification as the sculptor of the new heads is confirmed in an interview given by him to the Adelaide Observer, published on 12 May 1894 (The Sculptor of Burns. A Chat with Mr. Maxwell, p. 15). He also carved the eight male and female masks on the facade of Fraser's extension at 116-20 Argyle Street. Both sections of the building were designed by the Glasgow architect, William Spence (1872-3). Maxwell�s last portrait head for a Scottish building was of William Shakespeare, which was carved on a "Lunatic Asylum" near Paisley; the choice of subject being determined by its directors due to Shakespeare having "given the best description of madness of any writer in the world". This was Riccartsbar Lunatic Asylum, designed by John Honeyman, from whom Maxwell received a number of commissions. The hospital was designed in 1872, opened in 1876, and demolished c. 1968. In 1875, his health having broken, Maxwell gave up his Glasgow business and emigrated to Australia, where he initially spent eight months in Melbourne (After he left, his workshop in Glasgow, at 68 Bothwell Street, was taken over by the architectural carver James Young ). Whilst visiting Adelaide, Maxwell secured the commission to produce sculpture for the Bank of South Australia, including its heads of Father Torrens, and other river gods, and also executed sculpture on the bank�s offices in Melbourne. Returning briefly to Glasgow, he worked for John Honeyman on the carver work in the Buchanan Memorial Church (later St Boniface), 473 Caledonia Road (1877-8, demolished 1998); an unidentified church in Kelvingrove; and a warehouse in Sauchiehall Street. This latter commission was probably for the carvings, including a portrait head and heraldic lions on Copland & Lye�s department store, Caledonian House, 128-36 Sauchiehall Street, of 1878, which was the only warehouse built in the street at that time to incorporate extensive decorative carving. (There are a handful of buildings in Glasgow which feature, or featured, large portrait heads by unidentified sculptors, e.g. Woodside Public School, Ashley Street (1875), Abbotsford Primary School, 129-31 Abbotsford Place (1878-9) and the former Scottish Provident Institution For Life Assurance, 67-79 St Vincent Street (1875-8, heads lost). As Maxwell specialised in portrait heads and was responsible for a number of undocumented examples in the city during this period, it is possible that he was the sculptor of the heads on these buildings). Unable to stand Glasgow�s climate, however, he returned to Adelaide in 1878, where he received further commissions for architectural sculpture. This includes work on the New Government Offices (later Adelaide University); the English and Scottish Bank; the Mutual Provident Building (except its apex statue); and the new Parliament Buildings. Another of his religious works of this period is a plaster relief study of the Pieta (1883). This was presented to the Art Gallery of South Australia in 2004. For Sydney, he executed the reredos in St Mary�s Cathedral, together with a statue of St Patrick, four other statues, and the altars and alto-relievos. His public work includes a statue of Robert Burns, carved from New Zealand marble, on the North Terrace, Adelaide (1894). Maxwell lived at a "mock castle", Woodlands Park, which he built to his own design in Edwardstown, a few miles south of Adelaide, and produced red wine from his vineyard. With his son, John, he later purchased land in McLaren Vale which they developed as a fruit and dairy farm, and vineyard. His grandson, Ken, later established the famous Daringa Winery on the property, and later Maxwell Wines, which still remains in the family. In the early 1980s, his house, known locally as Edwardstown Castle, was demolished to make way for the Castle Plaza shopping centre. Maxwell�s great granddaughter, Paula Ritchie, of Adelaide, rekindled his association with Glasgow in September 2007, when she visited his surviving work in the city, including his famous Tontine Heads at Provand's Lordship. 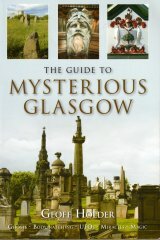 The team at glasgowsculpture.com is indebted to Paula Ritchie for providing the information for Maxwell's biography, and for permission to reproduce his portrait. We are also grateful to MW Media for permission to reproduce their fine image of the Burns statue in Adelaide.